It's also the perfect dessert option, since the frozen fruit mimics the texture & sweetness of ice cream! 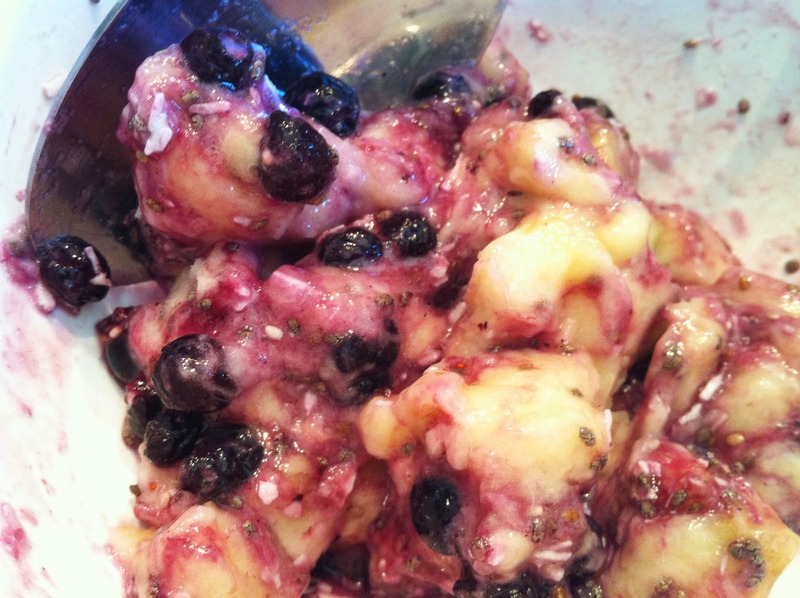 I love the sweet, creamy flavor of the banana mixed with the tart blueberries. 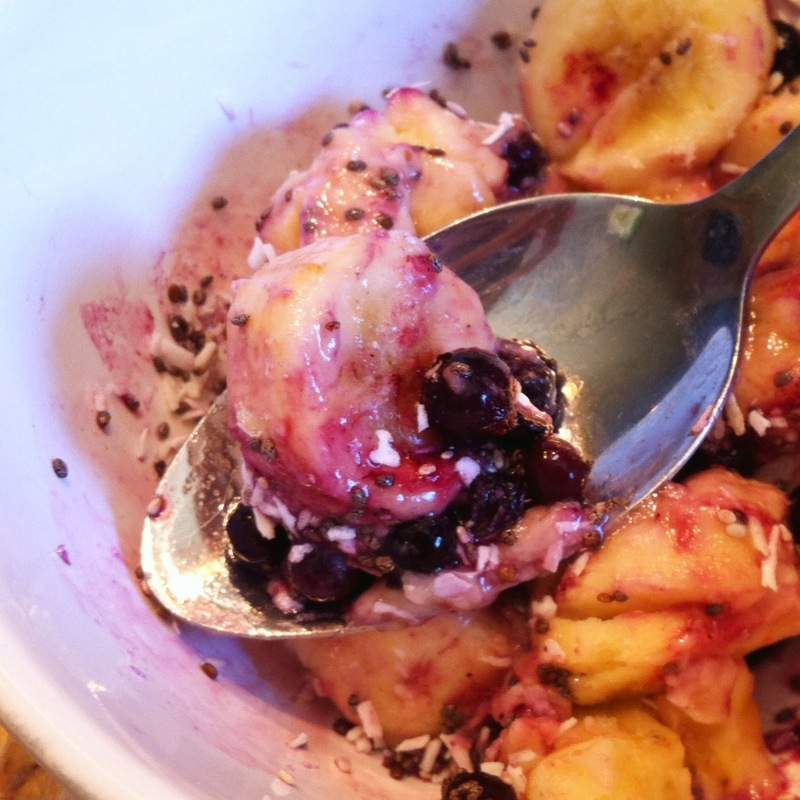 The chia seeds add a great little crunch, and the coconut adds yet another dimension of flavor! The texture of this bowl depends on how long you heat it. I usually stick to around 30 seconds to keep some of the frosty texture- almost like frozen yogurt. I've also heated this for around 1 minute & made more of a warm pudding-like dessert when it's cold outside. Either way, this little concoction is SO tasty & fresh, and super satisfying. Now that you know all the good that can come to you by eating this bowl of deliciousness, you should go make it! :D The whole thing is just 134 calories, and is 100% Paleo, which means no gluten, grains, dairy, or soy. 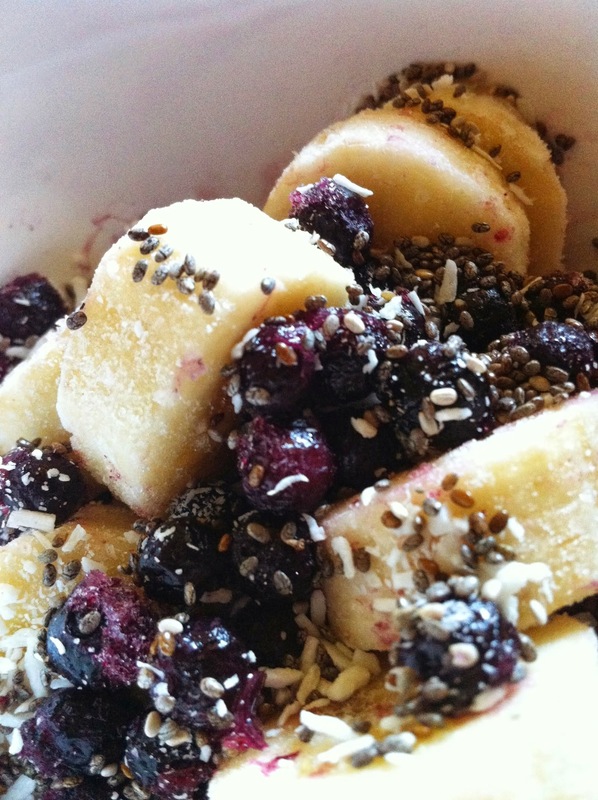 Mix all ingredients in a small bowl, and microwave until desired texture. Mash it up if you like, and enjoy! These bowls are awesome. I am so in love with the bright colors. It was such a good feeling to get rid of my mismatched set. Great space saver with how they stack. They are well made and wash up great. Love the different sizes! Just what my kitchen needed as I hate taking out one big bowl for small job at https://www.amazon.com!!!! !